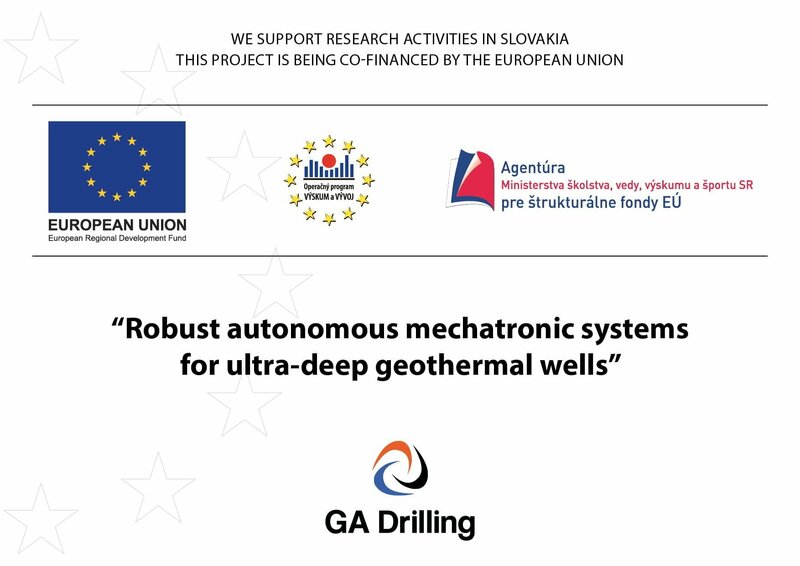 On August 1st 2010 GA Drilling implemented a project entitled „Applied research and development of innovative drilling technology for ultra-deep geothermal wells” along with its partners, Institute of Materials & Machine Mechanics of Slovak Academy of Sciences, Comenius University in Bratislava and the Slovak Technical University in Bratislava. The goal of project was to create an innovative water jet generating system based on the use of electric-discharge plasma with increased pulse effect. The project consisted of six main activities, and two supporting activities. The length of the applied research project was 36 months and we achieved all set objectives. We would like to take up again with further research of innovative drilling technology for ultra-deep geothermal wells. Currently we are in 5-year sustainability period, when project is being monitored.